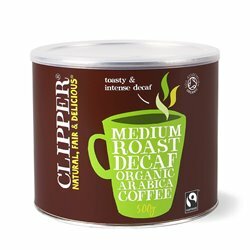 A toasty and intense blend of 100% Arabica highland coffee beans with a naturally smooth and rich flavour. 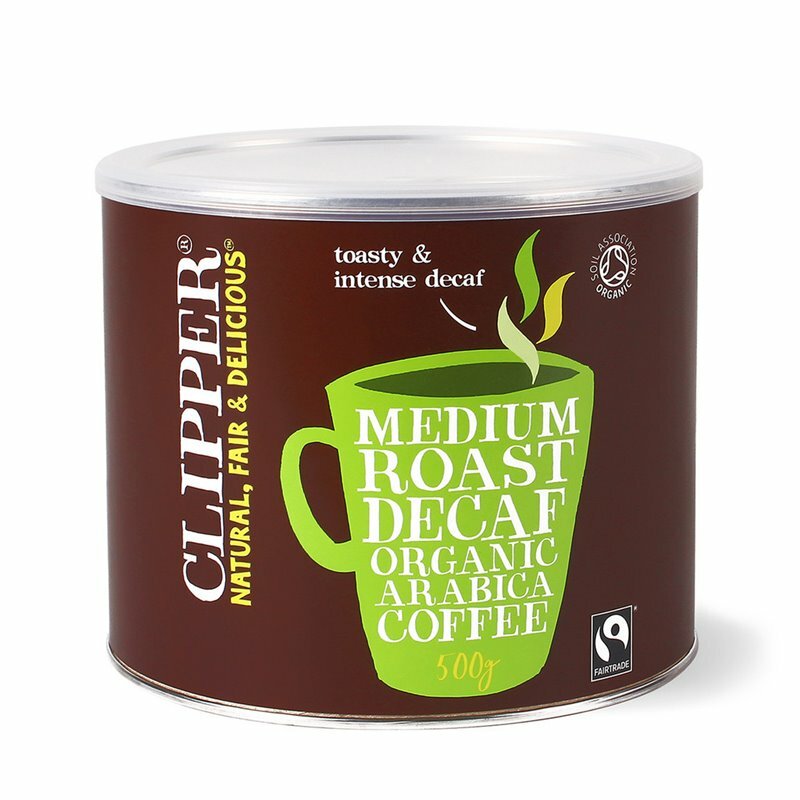 This coffee is grown organically by Fairtrade-certified farmers, using only natural methods of cultivation and no artificial fertilizers or pesticides and decaffeinated without the use of chemical solvents. 4 x 500g tubs.